Today’s blog guest is the wonderful Della Galton who is a working writer (just tap her name into Amazon!!!) and agony aunt for Writers Forum Magazine. She has had over 1,000 short stories published in national magazines in the UK, and throughout the world. 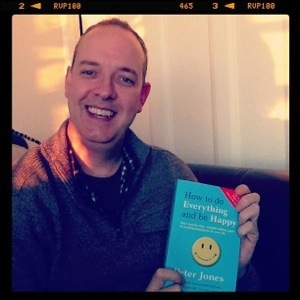 So you’ve written a novel at top speed – what now? Package it up and send it out to all the publishers and agents in the Writer’s Handbook? Hold on just two ticks. Here are my top five editing tips. Put it to one side for at least a fortnight, preferably longer, a month is good. Then you can go back to it with your cool editor’s head, not your passionate writer’s head. Read it through in its entirety. Make some notes based on these points. Does it begin in the right place? Is it in the right viewpoint? Is the main character really the main character? How is the dialogue – good, bad or indifferent? Can you tell the characters apart? Rewrite, based on your notes. For me, the number one fault in first drafts is repetition. I often repeat myself when I write a first draft, both in meaning and with words. I don’t know whether it’s they way my brain works, but I’ll very often find that I’ve repeated a word either in the same paragraph or in the one below. It’s almost as if my writing brain is saying, that’s a good word, we’ll have another one of those, shall we? I also have favourite words. You’ll have your own, but these are some of mine: just; quite; suddenly; that; and bit. I sometimes use the word search facility to go through and delete these words in my final edit. Another way of repetition is to say the same thing in a different way. And standing there in the sun, on that dusty afternoon Pam realised she’d never felt quite so happy in her life, which wasn’t all that surprising when she thought about it. Pottering around a car boot sale was one of her favourite ways to spend a Sunday morning. These two sentences are both telling us that Pam is happy. Only one of them is needed, although in the end I discarded both in favour of showing Pam being happy rather than directly telling the reader. I’m also rather fond of dashes – I litter them through my work – and it’s a difficult habit to break. You’ll find plenty besides the two in this paragraph that I’ve put in deliberately. A good rule is that less is more. Be sparing with exclamation marks. They tend to be very visible. This is effectively another form of repetition. There is no need to show the reader something and then tell them as well. i.e. Tears streamed down Laura’s face. She was very unhappy. Fashions change, but I am of the opinion that adverbs should be used sparingly. They tend to weaken writing, rather than strengthen it. If possible use a strong verb instead. For example, instead of saying, he ran quickly, try he raced. Most clichés came into being because they were the perfect way to say something. So why change them? The answer to this, I think, is that anything we hear too often is less meaningful – after a while it loses its meaning, and hence its impact, altogether. They will certainly not make your writing original. These are two good reasons to try and avoid them. And finally, is it possible to over edit? At the risk of contradicting myself, then I’d say, yes it is. Our first work tends to be a splurge of words that pour out – well they pour out on a good day! On a bad day it might feel more like pulling teeth with no anaesthetic. First drafts have a rawness about them and hopefully a sparkle. And I think that it’s possible to take this sparkle out with too much editing. I’ve seen writers who have actually managed to polish all the sparkle away from their original piece, leaving a final draft that is flat and rather emotionless. Please be careful – but in the final analysis you’ll have to trust your instincts about when enough is enough. This gets much easier with time and experience. Thank you so much Della, some great tips there! Originally written as a series for Writers’ Forum Magazine, this snappy, no-nonsense guide has been expanded, amended and updated. 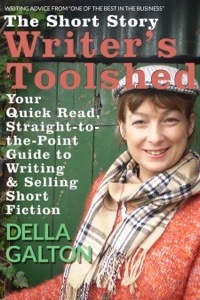 Using new examples from her own published short fiction, Della Galton takes you from ‘story idea’ to ‘final edit’, and demonstrates how to construct and polish the perfect short story, ready for publication.